Welcome! This blog is dedicated to Latino writers! I am passionate about writing, and especially works written by Latinos. I have been a life-long avid reader, but it wasn’t until I was about 14 that I realized that books existed that are written in a voice similar to my own. Even though there are many acclaimed Hispanic authors, I still believe that we need more work by Hispanics and that the literature as a whole is under-recognized, as authors Sandra Cisneros and David Rice discussed earlier this year on NPR. Why am I blogging? Well, for a long time, I have been writing in either the legal profession or academically. I hope that blogging will help me break out of those styles. Second, people who love to read and write, love to read and write about reading and writing! But most importantly, I want to shine a light on works by Hispanics in all media. 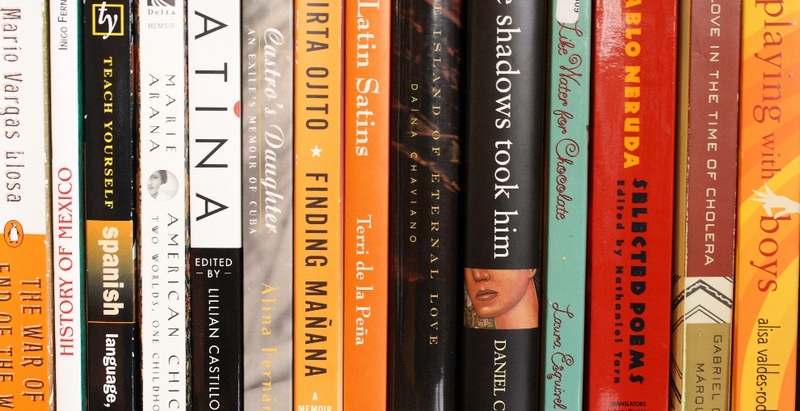 So, my goal is to read as many works by Hispanic writers as I can, and to blog about it here. And I’m sure I’ll have some related topics to write about, too. If you are interested in Latino literature, or have any suggestions or comments, please contact me!